Email readings are currently closed due to a large number of recent bookings. The soul trainings that you have done in between lifetimes and what this means for who you are now. Your primary life lesson & secondary lessons for this lifetime – this is often interesting and validating because you choose experiences which allow you to learn this primary life lesson, so you can find out why you choose the experiences you do and how they fit into your soul’s path. And of course learning is a big part of everyone’s life purpose. A general overview of your past lives. This includes: the periods in history and spiritual/religious paths that have played a large part in the story of your soul during past incarnations here on Earth. Past life roles that have cropped up for you repeatedly. Your strongest intuitive gifts at this time. Your empath gifts (there are 9 of them altogether) – in what ways are you gifted as an empath? I will also tell you how many Spirit Guides/Guardian angels you have and if I pick up on the energies of any Archangels & Ascended Masters around you and what their presence might mean for you. I will also let you know if I pick up on the presence of your primary Spirit Guide – if I do I will pass on a name, appearance, what your guide is helping you with, and what their energy feels like to me. At the end of the reading, I will also pass on a short summary of what I feel your purpose is as a soul, based on all the findings mentioned above. 1. Book a session using the button below. 2. Once you have placed your order, you will receive a link to a PDF file, which you will need to download. This tells you which information I will need in order to set up the session. Please make sure that you check the email address you entered when you went through the payment process, after you purchase your reading as instructions for the information you need to send to me are sent to that email account. 3. Once you have sent us the relevant information, my assistant will reply to you to let you know when your reading will be received. Please note, Anna currently only does readings via email and follow up questions are not included in this reading. 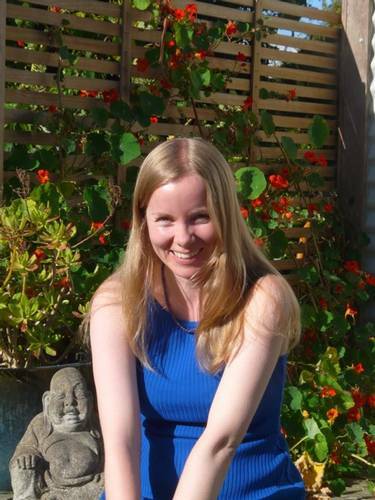 Anna has been reading the Records for people since 2007 and is the creator of the Akashic Record Reading Program, which has trained hundreds of students around the world to read the Akashic Records and deliver professional-level readings to clients. She loves reading for people and telling them about their soul gifts, the life lessons they’re learning in this lifetime, their past lives and soul origins. 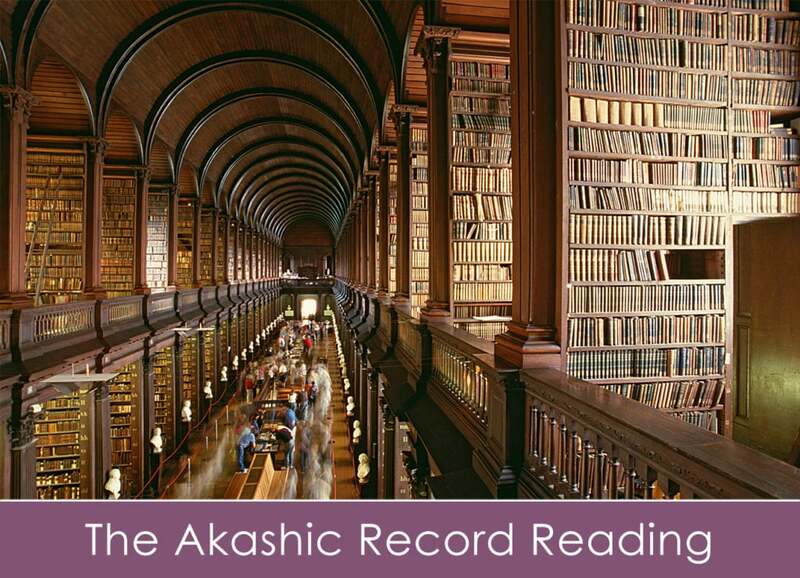 Before ordering a reading, we recommend you read the following article: What to Expect in an Akashic Record Reading with Anna. You can read previous client feedback here. 1. What is my date of birth needed for? What happens to my personal information after a session? I use your date of birth and place of birth to access your Akashic Records. 2. Can I order a session with you as a gift to someone? I love it when people refer their friends and relatives. But if you’re ordering on their behalf, do make sure that (1) the person you’re buying for knows about it and (2) the person wants the session. 3. What’s your cancellation and refund policy for readings? If you wish to cancel and get a refund, please let us know ASAP. The earlier you let us know, the more likely it is we can give a refund. We can’t guarantee it is possible to refund your reading after you have purchased it – this is because I can start the Akashic Records research for your reading at any time. Once I have started the this process and invested time in your reading, a refund is no longer possible. 4. Can I ask follow-up questions by email, after I receive my reading? I am not able to answer additional questions due to time constraints. 5. Do you do readings for people under eighteen? I only work with people over the age of eighteen. 6. How can I learn to do these Akashic Record Readings? 7. Why are these email readings cheaper than Anna’s phone readings? (1) Email readings take less time for me to do. (2) There are no follow up questions. Normally during a phone reading, we have 10-20 minutes at the end to ask questions about your career, relationships, decisions, or get further information on the areas that interest you most. During an email reading, we don’t do that. The information you receive is restricted to the points above. 8. Can I get a phone reading with Anna instead? Not at the moment. Due to my hectic travel/house sitting schedule over the coming year, email readings seem to be the more convenient option. 9. I’ve had an Akashic Record Reading before. Is it worth my while getting another one? It depends on what kind of reading you’ve had in the past. If you’ve ever had this type of reading before, please contact us before ordering to check this reading is right for you.